As a reminder, the intent of the next several Weekend Reflections for Leaders is to share some learnings from my journey of leaving a successful career with a great multi-national, life science company to learn and grow in the high growth (and high risk) mid-stage and early-stage life science marketplace. 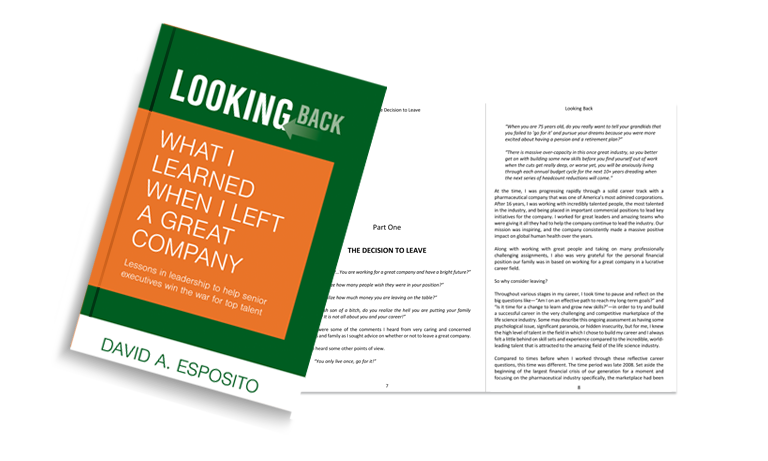 Over the last decade, I led a few companies to successful exits and also experienced a few very painful failures. Part #1: Guiding Principles. For large and small companies, it is critically important that we build a business based on a set of fundamental principles or values to guide individuals and teams in how we should treat each other, our customers, and fulfill our responsibility to the marketplace and the communities we impact. Part #2: Risk Taking and the Value of Failure: Taking risks and learning from failures are key attributes of entrepreneurial organizations in the early and mid-stage of development. Most large organizations have become too protective of the current business to fully embrace taking prudent risks and the value of trying and failing. However, we learn and grow a tremendous amount when we take the risk to change. In addition, we learn and grow from the pain of failure. We do our most thoughtful and thorough reflections and detailed action plans based on learnings when we take risks venturing into the unknown and when we fail. Another key learning from this leadership journey from a large, multi-national company to early stage entrepreneurial ventures has been around the importance of teamwork. There is no “one-man band” in the world of large corporations or small start-ups. No leader is building a great business on an island. It is well functioning teams that succeed in the complex world of business. There is obviously a leader and direction set, but people need to come together to effectively rally to the cause and get things done. The press may glorify what seems to be the iconic leader from which all wisdom and action flows, but the reality on the ground in the conference rooms and hallways of companies big and small, it is individuals putting the goals of the team ahead of any personal agenda. 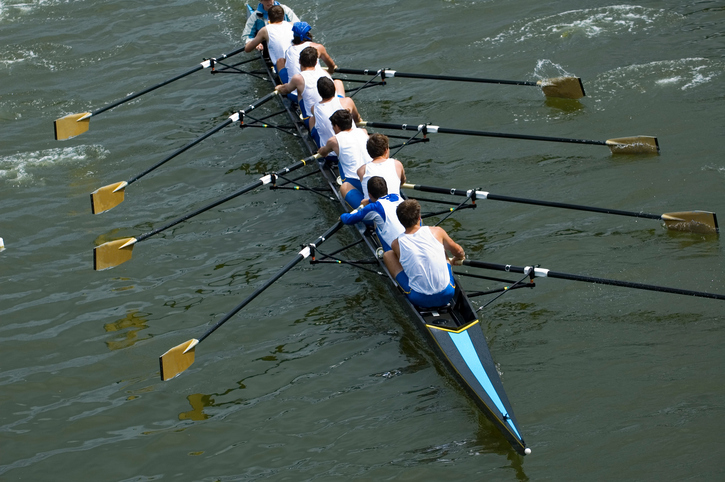 There is a stark contrast around teamwork in a startup compared to a large corporation. Large companies are supported with formal hierarchy, titles, functional control of certain initiatives and matrix management guidelines that tend to slow down project development and execution. Long-standing traditional work flows can create turf wars and political minefields that can have a detrimental impact of effective teamwork. In the world of entrepreneurship, people leave titles, history, and egos at the door and focus on the work to get done. A sense of urgency for the task at hand tends to harness teamwork and remove traditional corporate barriers to effective teamwork. As a quick side note, when I went through US Army Ranger School, the initial requirements are that everyone strip the rank off their uniforms. Everyone is a Ranger in training. It did not matter if you were a Corporal or a Captain in your prior life, when you walked under the sign at Ranger School that said, “Not for the Weak or Fainthearted,” you were all equal with a common direction to accomplish any mission as team. Yes, there was a rotation of leaders on each mission, but the intent was to work together as a team with no history, no baggage, no titles, and just get the mission accomplished. Today’s start up world operates in a similar fashion as was taught to me at the US Army’s premier leadership training program, Ranger School: Define a clear mission, build an operating plan/work plan, determine key decisions/key milestones that need to be made up front, and then get the work done. When leaders model teamwork, communicate teamwork, measure & reward teamwork, it can get better in large corporations. However, the practical reality of titles, career management/self-preservation, and internal politics/traditions, can create significant barriers to teamwork that need to be addressed with intention and continual reinforcement to make steady improvements in large companies. For today’s senior executives and top talent, modeling the behavior that the most effective pathway to mission accomplishment is paved with teamwork, not lone-rangers, big egos and power struggles, is critical to building a long-term healthy business. Teamwork is a fundamental principle that is needed to succeed. What if I were to ask you, “What is the most difficult leadership challenge you are facing today?” What would you say?